Good day everyone, Josette here with another Tuesday card for Sweet Stamps. Again I used the new released and combined 2 sets. I think this could either be a baby shower, wedding shower or Valentine card. What do you think? Here is how I created the background. I used the die on the right to create a mask and inked with Broken China and Tumbled Glass, both distress inks using an ink blending tool. I kept moving the mask around to get variation. After inking, I cut it down to an A2 size. Added a sun and clouds. Some were popped up on 3D foam tape and others were adhered directly to paper. A few small clear sequins finished the look. 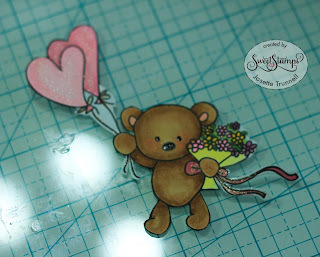 The bear was colored with copic markers and fussy cut. He was then popped up using foam tape. Another view, see how the fur has been mottled using colorless blender. Double click to get a good look. 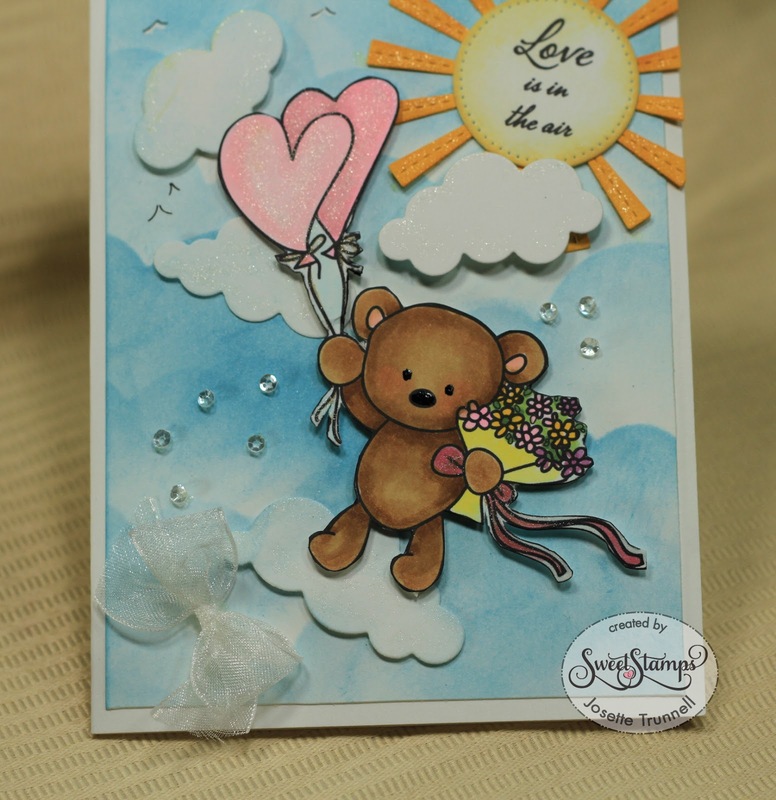 After everything was finished, I added a bow and mounted the card onto the white card base. The sun was trimmed to the edge of the card. 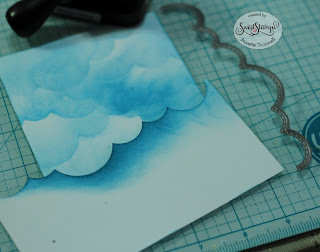 Cute design, love the cloud background and the 3D effect of the layers. Sweet!! 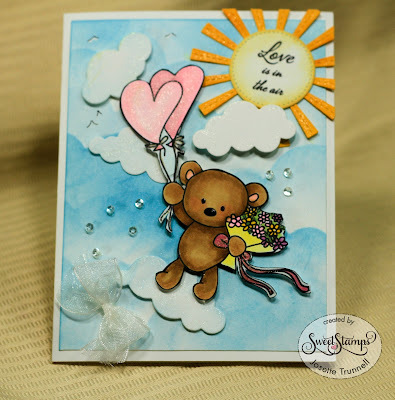 Looking through your blog I found out that you make such cool cards. They all look so pretty and cute. Hope you'll do even more beautiful.